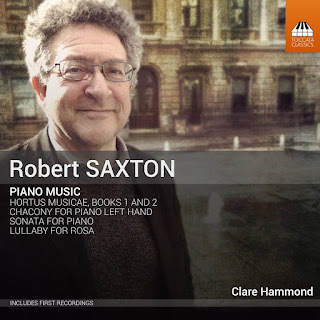 This enterprising disc from pianist Clare Hammond on Toccata Classics is devoted to the piano music of Robert Saxton, counterpointing two works from the 1980s Chacony for Piano Left Hand and Sonata for Piano with three more recent pieces, the suites Hortus Musicae, Book 1 and Book 2, and Lullaby for Rosa. Robert Saxton, who is Professor of Composition at the Oxford University Faculty of Music, has an interesting pedigree. 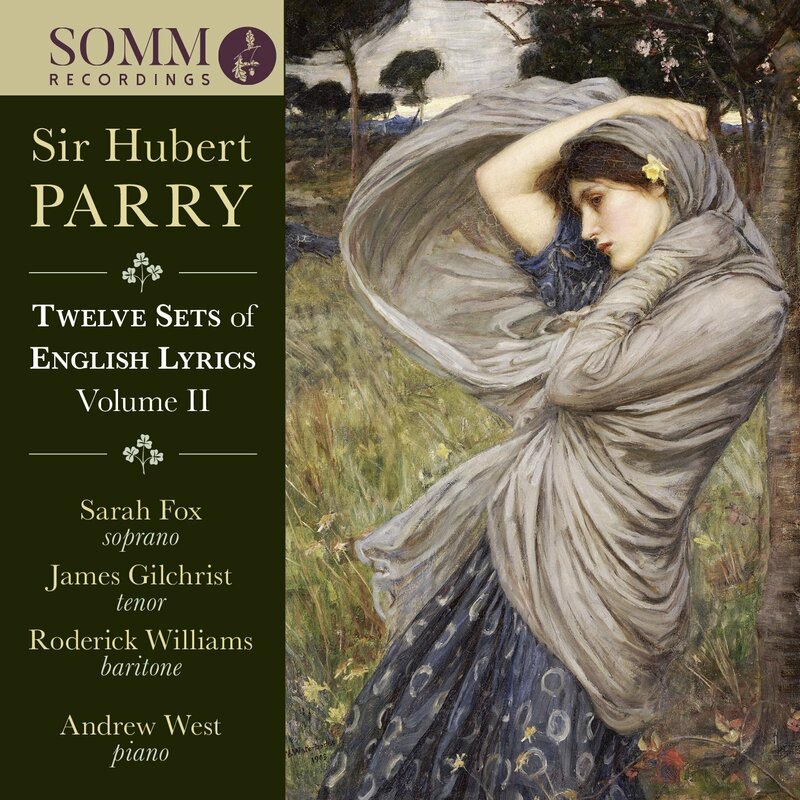 As a teenager he corresponded with and was mentored by Benjamin Britten, and was taught by Elizabeth Lutyens, Robin Holloway, Robert Sherlaw Johnson and Luciano Berio. 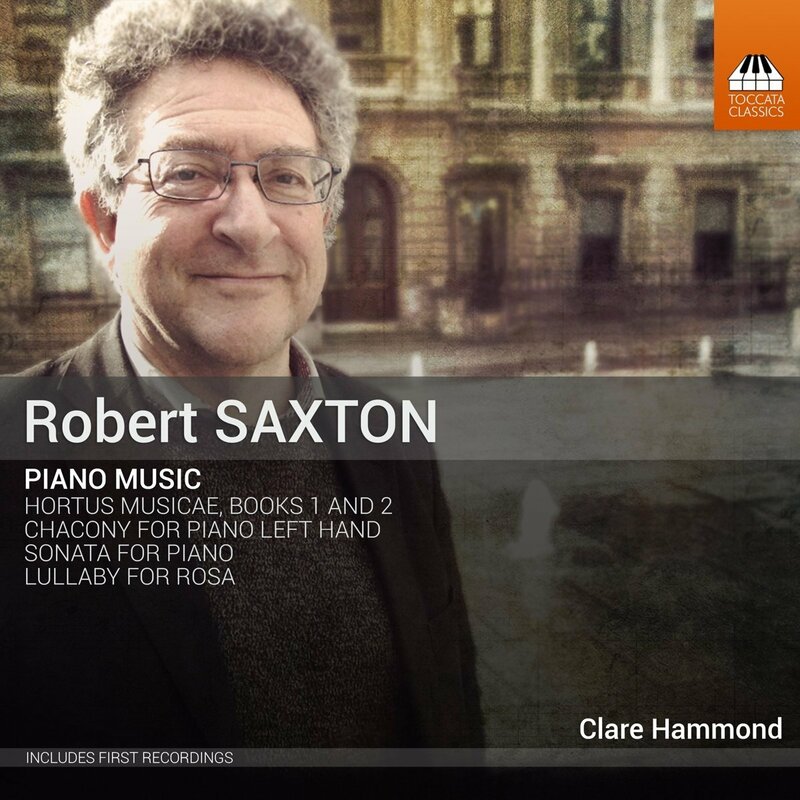 The disc opens with Saxton's Chacony for Piano Left Hand, written in 1988 for the Aldeburgh Festival and premiered by Leon Fleisher (who at that time had lost the use of his right hand). 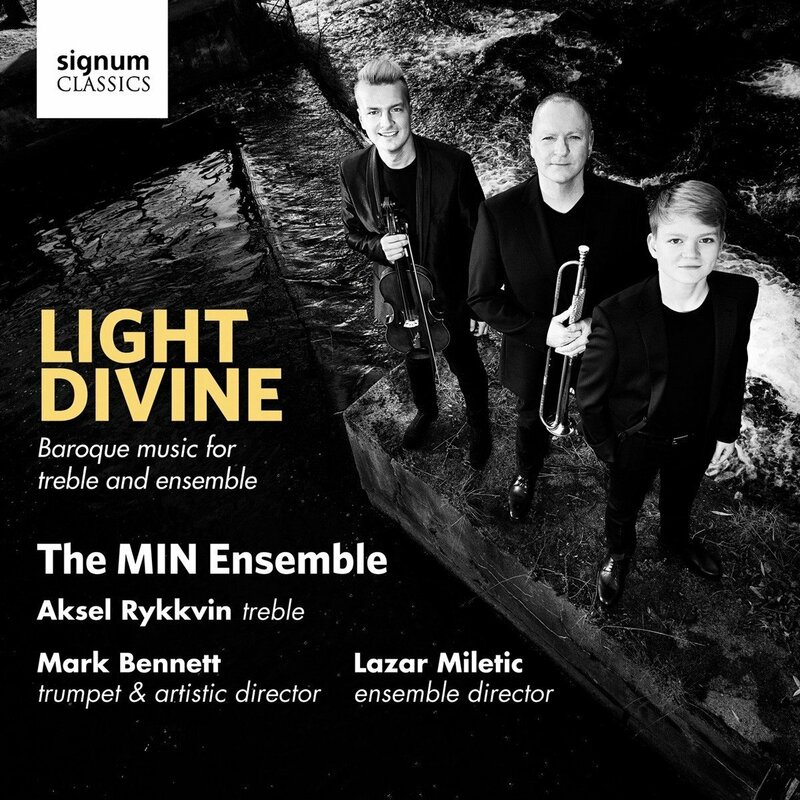 It is a strenuous, virtuosic piece which nonethless manages to achieve a remarkably luminous sound. Saxton's Piano Sonata is the earliest piece on the disc, dating from 1981 it was inspired by the bi-centenary of Bartok's birth that year. It is a single-movement, 10 minute piece, more obviously serial than the Chacony, creating something intense and concentrated. The Leeds International Piano Competition (The Leeds) is presenting the Leeds Piano Festival, the first of a planned annual festival, in May 2018. 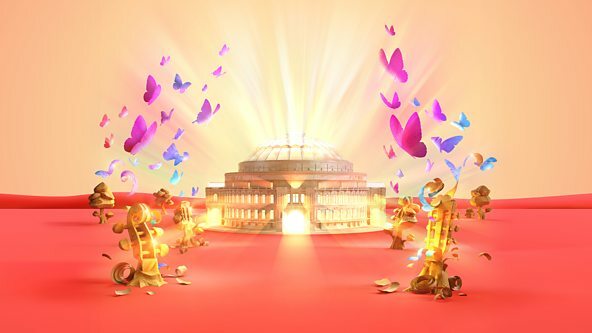 Taking place across 10 days in Leeds and London (14 to 23 May 2018), the performers include past winners and alumni including Alessio Bax (winner of the 2000 Competition), Sunwook Kim (winner of the 2006 Competition) and Lars Vogt (2nd prize in the 1990 Competition), who each perform recitals at both Leeds’ Howard Assembly Room and London’s Wigmore Hall. 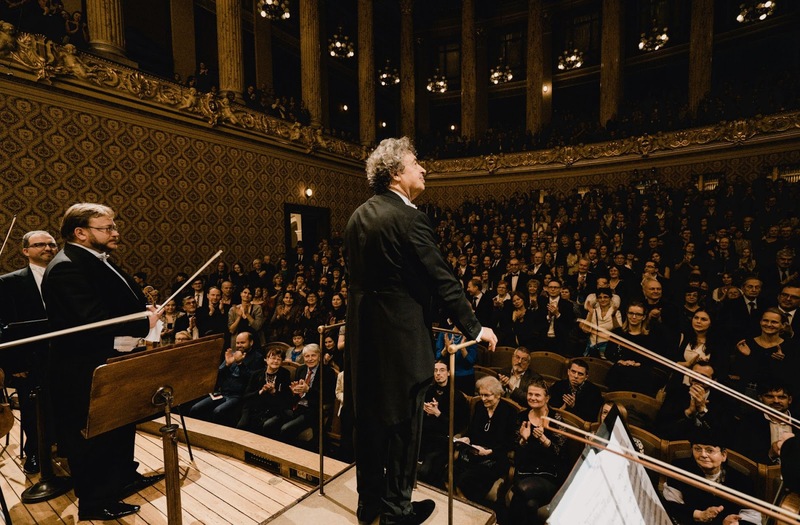 The festival is part of the vision of The Leeds’s new artistic leadership, Paul Lewis and Adam Gatehouse, to expand its activities beyond the triennial competition and provide a much-enriched programme of events for both pianists and audiences alike. 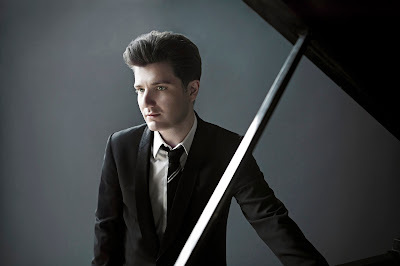 The first stage in a new partnership between the Foundation and The Leeds sees three Young Scholars from the Lang Lang International Music Foundation (all teenagers from the United States, personally selected and mentored by Lang Lang) will take part in a public masterclass with Alessio Bax and perform in both venues in Leeds and London as . Other events aim to bring the piano to a wider audience so that for Discover the Piano: Piano Fantasia hundreds of local primary schoolchildren from all over Leeds are invited to Leeds Town Hall to explore and discover the piano in a family performance from creator and pianist Will Pickvance. 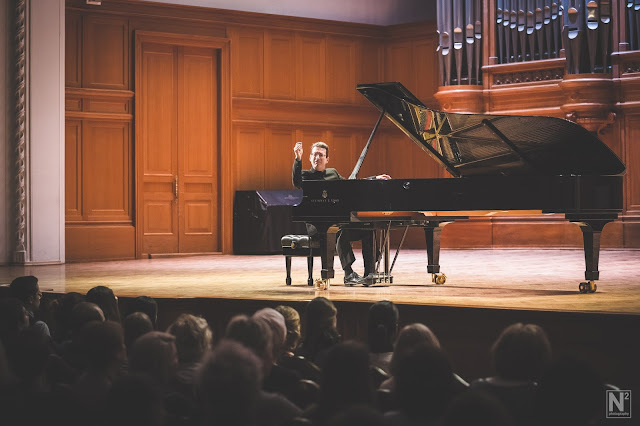 They will also take part in various piano workshops and hear performances from the Lang Lang Scholars in a fun and accessible celebration of the piano. 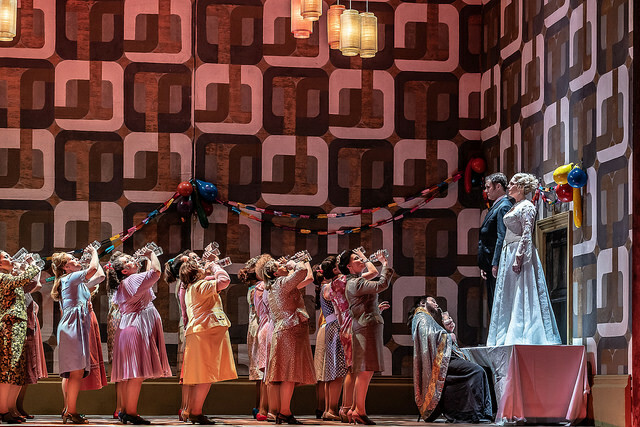 Richard Jones' production of Shostakovich's Lady Macbeth of Mtsensk has returned to the Royal Opera House (seen Friday 27 April 2018) after a gap of a dozen years, with the production in fine form indeed, and with Eva-Maria Westbroek and John Tomlinson returning to the roles of Katerina Ismailova and Boris Ismailov with John Daszak as Zinovy Ismailov, Brandon Jovanovich as Sergey, Rosie Aldridge as Aksinya and Peter Bronder as the shabby peasant. 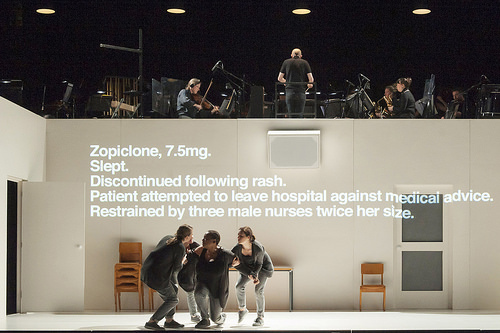 Jones' production was revived by Elaine Kidd, and Antonio Pappano conducted. The opera is a tricky one to bring off, Shostakovich's score is full of cartoonish elements juxtaposing serious ones, there is a huge orchestra (with lots of extra brass) yet the music has a satirical element too and overall needs a lightness of touch. 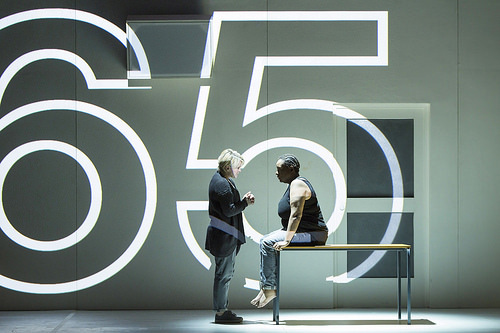 Jones' production brought this off brilliantly, undercutting seriousness with comedy alongside some brilliant stagecraft with a finely idiomatic performance from Pappano and the orchestra. 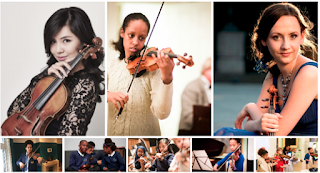 London Music Masters (LMM), which was founded by Victoria Robey to address the need for greater diversity in classical music and to provide access to music education for all at primary school, is celebrating its 10th anniversary. 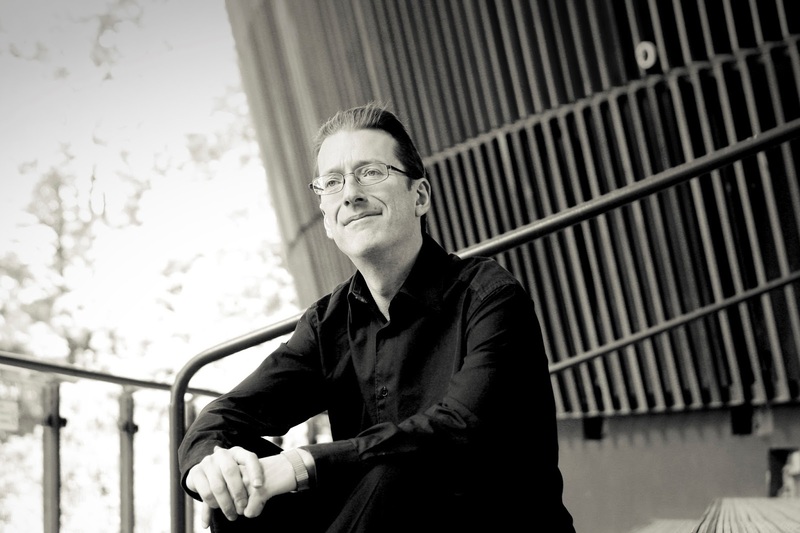 Celebrations include a concert at the Queen Elizabeth Hall on Monday 30 April 2018 with four world premieres by Mark-Anthony Turnage, Satoko Doi-Luck and Colin Matthews. The performers include former LMM Award Holders Agata Szymczewska and Hyeyoon Park and past and present LMM children aged between 8-15 from the seven schools. Turnage's Cleethorpes Chorale will be premiered by former LMM student Betania Johnny and Agata Szymczewska, accompanied by Sebastian Wybrew. 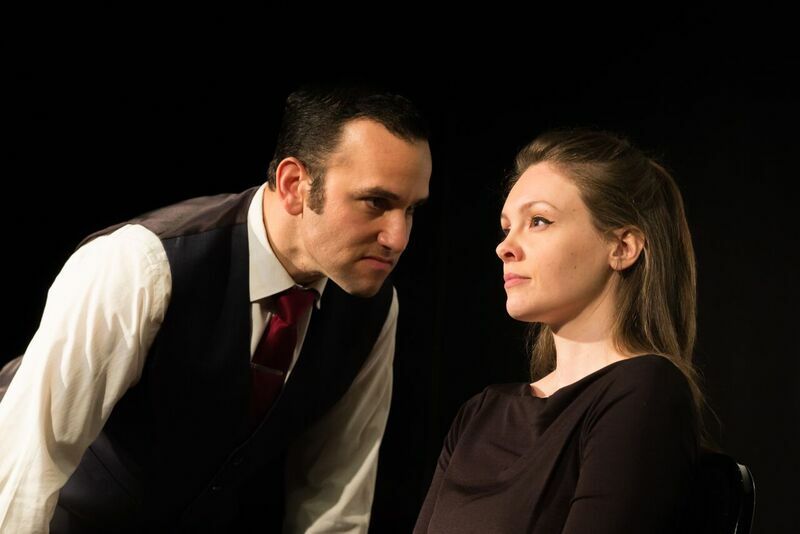 Shadwell Opera brought a double bill of Edward Nesbit (born 1986) and Leos Janacek (1854-1928) to the music room at Omnibus Theatre in Clapham on Thursday 26 April 2018. Effectively a pair of staged song cycles, Nesbit's piece had been commissioned to use the same forces, mezzo-soprano, tenor, three female voices and piano, as the Janceck. Angharad Lyddon was Antigone and Anthony Flaum was Theseus in Nesbit's The Grief of Antigone, whilst Sam Furness and Angharad Lyddon were the soloists in Janacek's The Diary of One who Vanished (sung in Seamus Heaney's translation), with Thomas Ang (piano), and Isabelle Haile, Beth Graham & Sapphire Armitage as the female voices. Jack Furness directed. Edward Nesbit's opera uses a short episode from the myth of Antigone as retold in Sophocles Oedipus at Colonus, after Oedipus' death Antigone, in her grief, wishes to visit her father's tomb. But it is a sacred place, and secret, and Theseus has promised Oedipus that he would keep it so. Furness's staging was simple, just Angharad Lyddon in black sitting centre-stage with Anthony Flaum off stage (but very visible from the audience) watching her on monitors which did not always work and kept flickering, to his annoyance (perhaps a little distracting for those on his side of the auditorium). This disc from recorder player Olwen Foulkes, Carina Drury (cello), Nathaniel Mander (harpsichord), Tabea Debus (bass recorder) and Toby Carr (theorbo) explores the liveliness of the musical world surrounding the musicians in Handel's orchestra, seen through the parallel filter of music for recorder, much of which was published (often in arrangements, and not always with the composer's permission) by John Walsh. 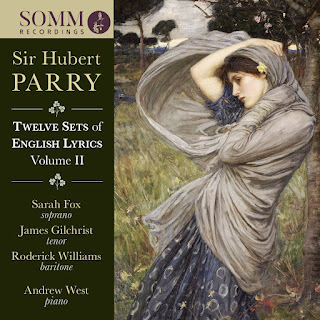 So on this disc from Barn Cottage Records we have music by Handel himself (both the Sonata in F and a suite arranged by Olwen Foulkes), Pietro Castrucci, Giuseppe Sammartini, Francesco Geminiani, John Blow, and John Christopher Smith. 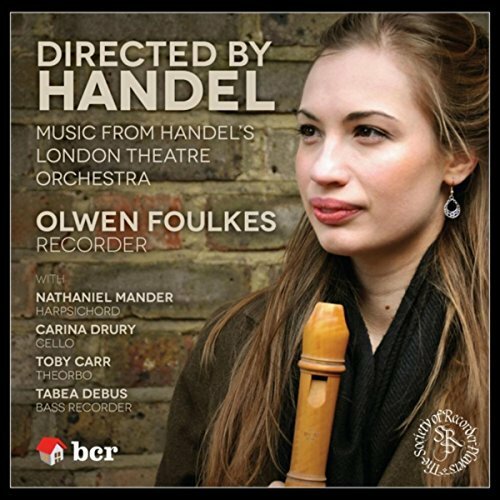 The title of the disc Directed by Handel is something of a misnomer, very little of the music on the disc would have been directed by Handel, that is the point. But the subtitle captures it exactly, 'Music from Handel's London Theatre Orchestra'. Not Handel's theatre music, but music from the members of the orchestra, many of whom were distinguished musicians in their own right. Central to this enterprise is the publisher, John Walsh. In fact there were two John Walshs, father ( 1666-1736) and son (1709-1766). The firm published a lot of music, on a scale hitherto unknown in England, and in the early days did so based on the almost non-existent copyright laws so that composers were rarely involved, and Walsh senior would also copy (pirate) foreign edition. The firm's early printings of Handel were all done in this manner, but they eventually developed a strong relationship with the composer who came to realise the potential for having an outlet for his music which he controlled and they published Handel's sonatas, organ concertos, trio sonatas and concerti grossi. So on this disc, Walsh is involved in the Corellis sonata, the Handel sonata, and the Castrucci Ciaconna. Walsh was interested in the amateur market, those who played at home, and so the use of the recorder was key as this instrument was one of those which was enthusiastically taken up by amateurs. 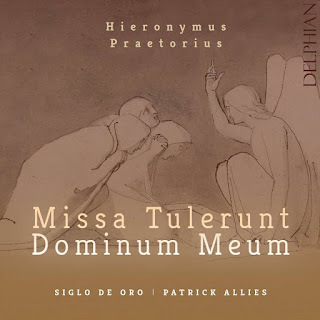 The young professional choir Siglo de Oro, conductor Patrick Allies, has just released a new CD, the group's second disc, on the Delphian label which has Hieronymus Praetorius' Missa Tulerunt Dominum at its centre [see my review of the disc]. 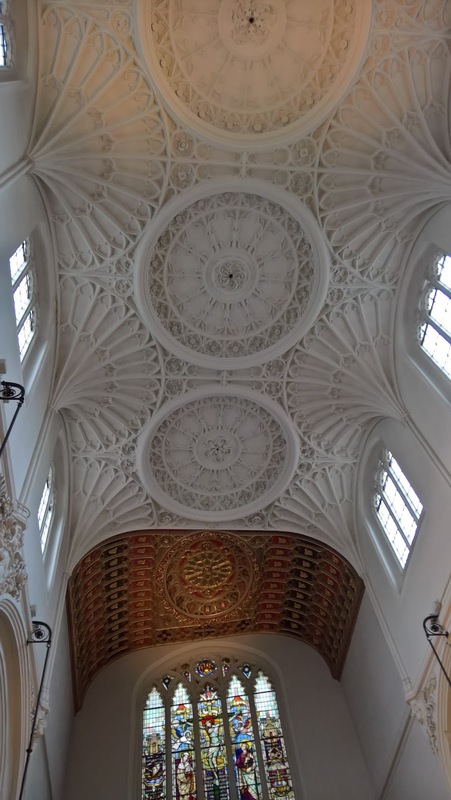 To celebrate the release, Patrick and the choir performed a programme of music from the disc on Tuesday 24 April 2018 at the church of St Mary Aldermary, a church in the City which is notable for its glorious 17th century (post Fire of London) fan vaulting. We heard four of the motets from Erhard Bodenschatz's Florilegium Portense, and important and influential 17th century collection of motets which informed the repertoire of many early 18th century Lutheran churches, Filiae Jerusalem, nolite flere by Jacob Handl (1550-1591), O vos omnes by Hieronymus Praetorius (1560-1629), Deus, Deus meus by Hans Leo Hassler (1564-1612) and Tristis est anima mea by Orlande de Lassus (c1523-1594). The Handl, for double choir, climaxed with a glorious noise when the two choirs sang together, the singers making a strong, flexible sound. 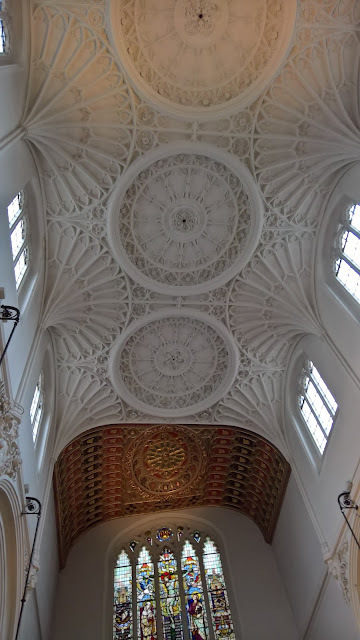 The Praetorious was similarly sonorous, whilst the Hassler gave us big blocks of sound, and the group finished with Lassus' stately sculptural motet. The second group included Praetorius' motet Tulerunt Dominum meum and movements from the mass based on it, we hear the Gloria, Sanctus and Agnus Dei. 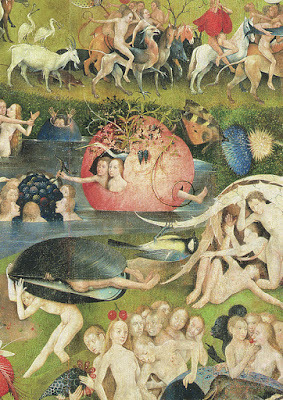 The motet was by turns grave, powerful and vivid, and the movements of the mass explored all these qualities. The climaxes gave us, again a glorious noise with some wonderfully vivid singing, whilst the Sanctus was more sculptural and the Agnus Dei rather more grave and expressive. This was a lovely opportunity to hear Praetorius' mass live, and I certainly hope that success of the CD (it was chosen as Choral and Song Album of the Month by BBC Music Magazine) will encourage other groups to explore the music of the other Praetorius. Not strictly classical, but with enough interesting inspirations and references (from Enya to the classically inspired piano accompaniment) to perhaps intrigue, though perhaps the floaty visuals are a bit much. 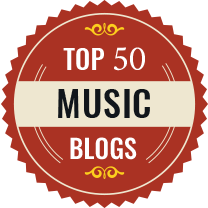 And we might consider where such classically inspired popular artists sit in a musical spectrum, where contemporary classical music frequently bleeds over into the popular, and where the new classical uses ideas from both. This is a new track, In too deep, from the singer/songwriter Natasha Hardy taken from her debut album which is out this summer. If you would like to hear Natasha live, then she is performing songs from the album on Sunday 20 May 2018, at The Jazz Room, The Bulls Head, 373 Lonsdale Road, Barnes, SW13 9PY. Further information from the 7 Star Arts website. 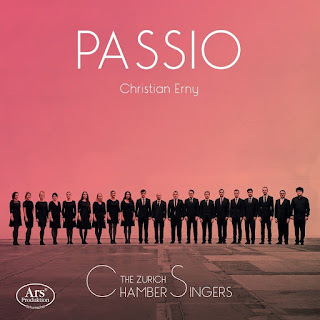 This disc from the Zurich Chamber Singers, conductor Christian Erny, on Ars Produktion is an intriguing journey through passion and mourning from Tallis and Purcell, through Bach to the contemporary in the shape of Kevin Hartnett. 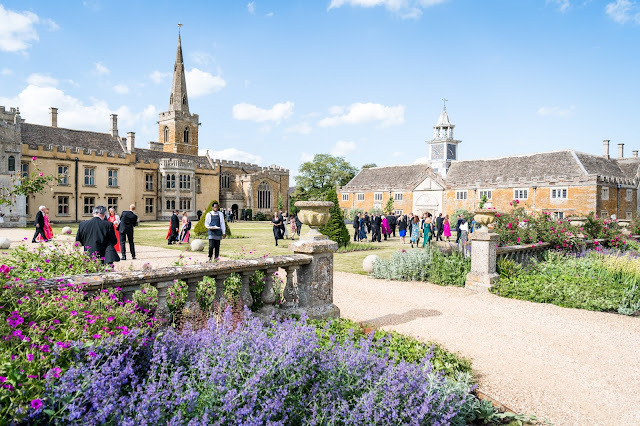 The centrepieces of the programme are Henry Purcell's Funeral Sentences and Bach's Jesu meine Freude, alongside Hartnett's De profundis from 2016, bookended by a pair of Tallis motets, Salvator mundi and If ye love me. The choir was founded in 2015 by Christian Erny and musicologist Emanuel Signer, and is made up of 18 young singers from the Zurich area. They make a lovely clear bright sound, with a soprano line which has a focused tonal quality approaching boys voices. Technically, this is a very beautiful disc indeed. Their opening item, Tallis' Salvator mundi is beautifully poised, with a lovely clarity of line. But the weakness of this approach is apparent in the three Purcell Funeral Sentences. Here the choir's sense of line and clear tone cannot disguise the lack of projection on the words. If you concentrate, you can hear that their English is entirely creditable but the words just do not come over and in this style of music that is essential. What an unalloyed joy! And if all this isn’t advert enough for some sensible funding I don’t know what is. Whilst the huge benefits of musical education, to me at any rate, seem self-evident, it’s not uncommon these days to see headlines "Music 'could face extinction' in secondary schools". 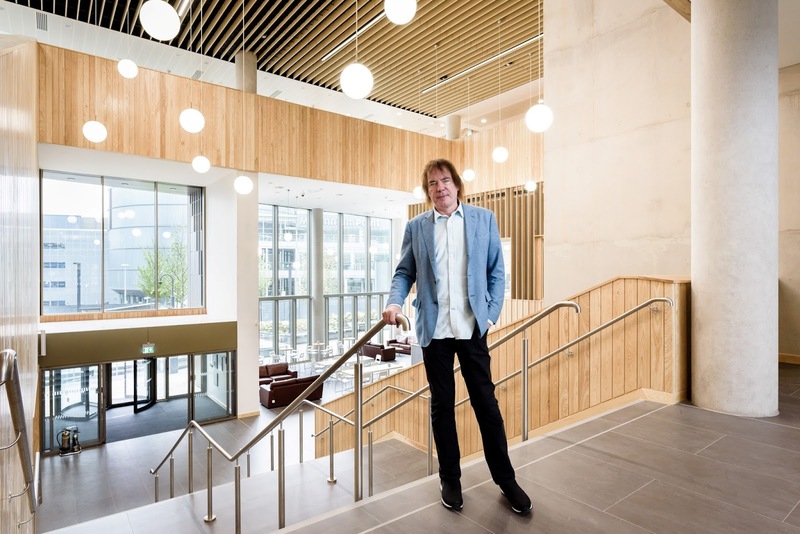 Andrew Lloyd Webber has described the decline in provision as a "national scandal" and Louise Mitchell CEO of Bristol Music Trust warned recently that "by dismissing the value of the arts in schools we risk stunting the creative capacities of the next generation". 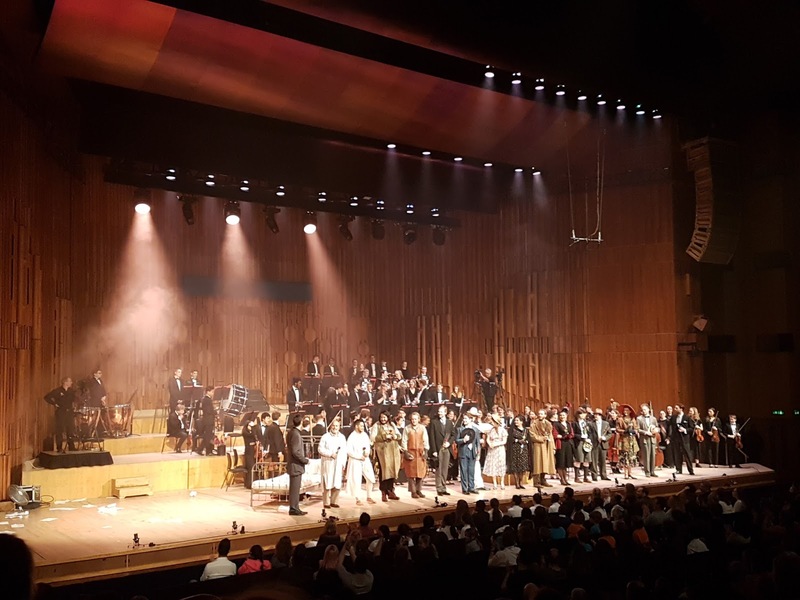 Thankfully the work of the London Schools Symphony Orchestra (LSSO) continues to provide opportunities for young people to develop their skills. Founded in 1951, the LSSO draws its musicians from students in London schools, who work with some of the world’s most distinguished musicians. 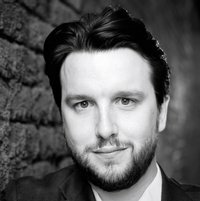 Based on an 18th-century libretto ‘Quartre Polichinelles semblables’ Pulcinella’s music was believed originally to have been composed by Giovanni Battista Pergolesi but that attribution has now been revised. Stravinsky re-wrote some of the harmonies and rhythms in his “own accent” and it was bold to have chosen such a challenging and novel work. 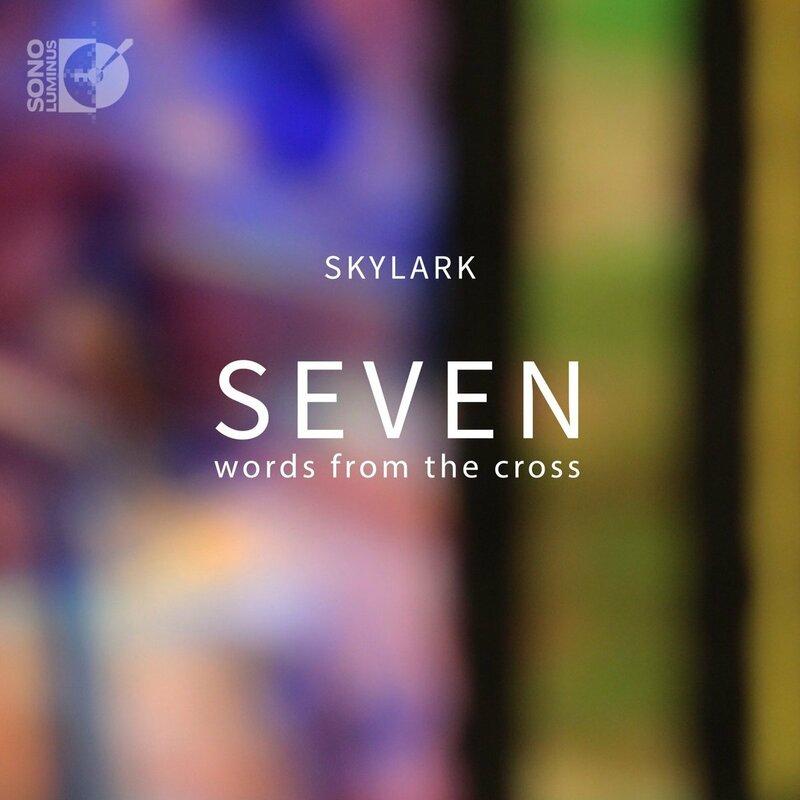 Skylark, artistic director Matthew Guard, is an American vocal ensemble and on this new disc from Sono Luminus, Seven words from the Cross, they present an eclectic programme themed around Christ's seven words from the cross. The music on the disc ranges widely, from African-American spirituals, William Billings, Frederick Buckley and traditional hymns, to Hildegard of Bingen, John Sheppard, Hugo Distler, Francis Poulenc, Anna Thorvaldsdottir (Anna Sigríður Þorvaldsdóttir) and Jaakko Mäntyjärvi. 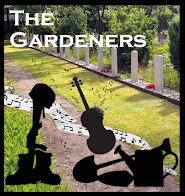 The programme is in nine sections, arranged around the seven words (in fact phrases) with a prologue and epilogue, with each section having a selection of pieces around the theme. The selection is quite eclectic so that for Behold your son: behold your mother we have Charity abounds toward all by Hildegard of Bingen, Break it Gently to my Mother by Frederick Buckley (1833-1864) and David's Lamentation by William Billings (1746-1800). The 18th century American composer William Billings is a notable presence on the disc with four pieces, When Jesus Wept, There is land of pure delight (Jordan), David's Lamentation and In deep distress I oft have cried (Plympton) along with Jaakko Mäntyjärvi's Death may dissolve (fantasia on a hymn by William Billings), and Billings' wonderfully idiosyncratic and robustly characterful music colours the programme, particularly when combined with the use of two traditional hymns Amazing Grace (New Britain) and Wondrous Love, and Frederick Buckley's 19th century ballad give the programme a very particular and rather distinctively American feel. 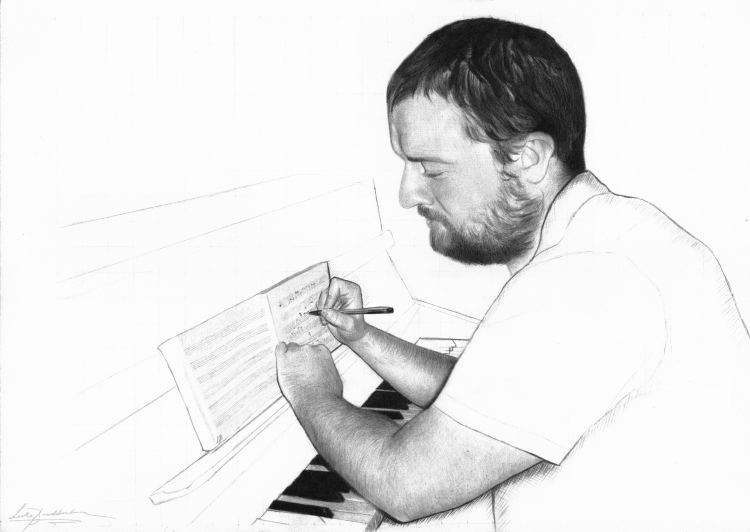 Occupy the Pianos returns to St John's Smith Square from 20 to 22 April 2018, when pianist/composer Rolf Hind's festival will be presenting freshly-written works and radical takes on music and concert-giving, with new and radical piano music at its core. 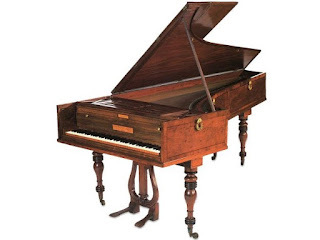 There will be more than a dozen new works over the weekend, placing the focus on future directions for the piano; as well as having a Call for Scores, the weekend begins with a workshop on writing for the piano, with further pieces dropped into the weekend as surprises. Reflecting both the proximity of the Houses of Parliament, site of protest and agitation, and the sense of spirituality arising from St John's itself (still a consecrated church), two themes run through the weekend, Protest and The Journey Within. Protest takes many forms, from the feminist angle in Maxwell Davies to the words of prisoners in Rzewski, from a plea for compassion to animals to a radical rethinking of music making from a queer angle. 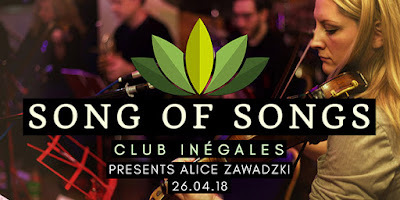 Whilst The Journey Within affects not only the pieces played but the manner of performance so that Sunday's concerts will gradually dissolve into audience participation with everyone ending up downstairs in the cafe together, by way of a concert conducted as a led meditation with Eliza McCarthy. 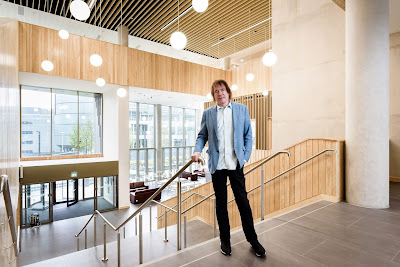 In celebration of the opening of its new buildings, the Royal Birmingham Conservatoire is presenting an opening festival, fifteen months of concerts and events. 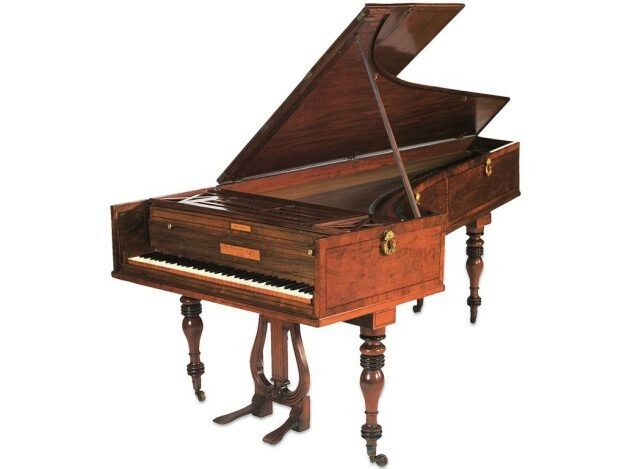 Peter Donohoe is giving a series of all-Mozart concerts featuring the piano sonatas. Lenny Henry, Chancellor of Birmingham City University, narrates Prokofiev’Peter and the Woolf with the Royal Birmingham Conservatoire Pops Orchestra, in a programm including music by Bernstein, Copland, and music from Spiderman and Star Wars. A shorter performance for an audience of schoolchildren takes place at lunchtime. The Dutch ensemble, Orkest de Ereprijs performs composers with whom they have a close association: Willem Breuker, Raphaël Languillat, Mary Finsterer and Martijn Padding, and will be joining with the Conservatoire’s own Thallein Ensemble to create The Orchestra of the 21st Century, a radical re-imagining of the orchestra. Conservatoire Principal, Julian Lloyd Webber, conducts Orchestra of the Swan for a Bank Holiday Monday concert with the cellists Jian Wang and Jiaxin Lloyd Webber, including Haydn’s First Cello Concerto and Vivaldi’s Concerto for Two Cellos in G minor. Full details of all the events from the Royal Birmingham Conservatoire website. The conductor and composer Gregory Rose is 70 this year, and in celebration he is bringing his Jupiter Orchestra to St John's Smith Square on Wednesday 18 April 2018, for a programme of his own music including a number of world premieres. The orchestra will be joined by the Jupiter Singers, mezzo soprano Loré Lixenberg and violinist Peter Sheppard Skærved to perform Gregory Rose's 7 Dances from Danse Macabre, and Birthday Ode for Aaron Copland, plus the world premieres of 5 Schwitters Songs and Violin Concerto. 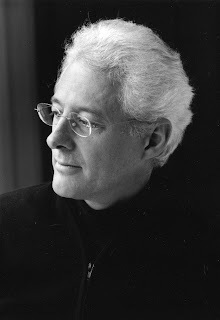 Gregory Rose studied with Hanns Jelinek (Vienna Music Academy) and Egon Wellesz (Oxford University), both former students of Arnold Schoenberg, as well as with his father Bernard Rose, the distinguished organist and composer who was Informator Choristarum at Magdalen College, Oxford.